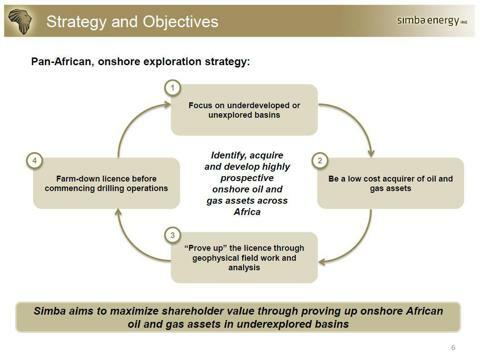 Simba Energy is an Oil Exploration Play in Africa. 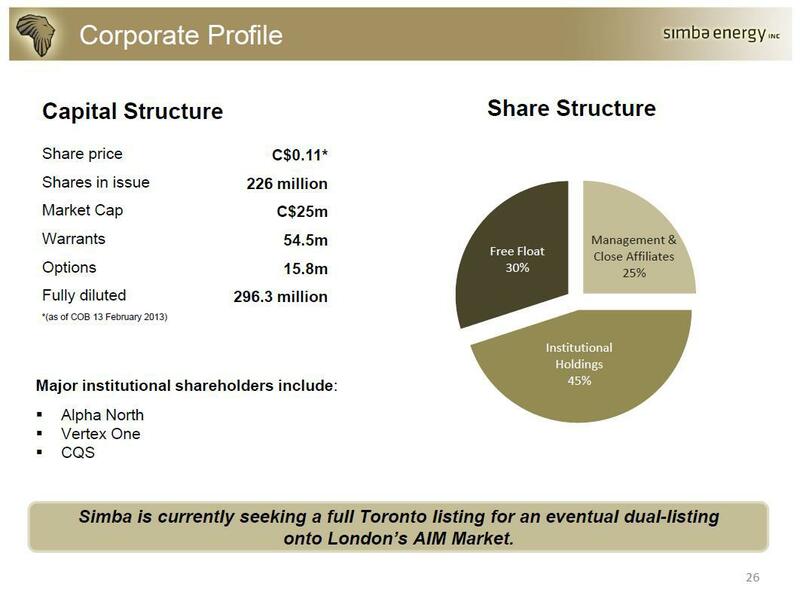 SMB is the TMX symbol. 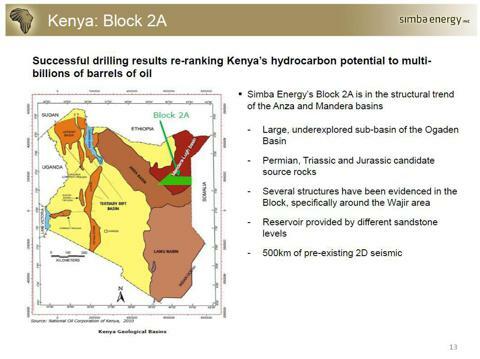 Simba was created after a geologist exploring for diamonds in Africa was in a region of Kenya on land in close proximity to an oil exploration well for Africa oil. 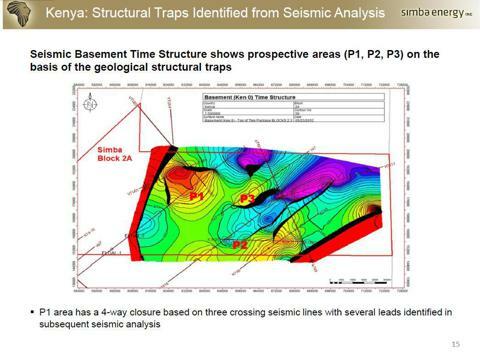 The discovery well Ngamia-1 turned out to be a company maker for Africa Oil. 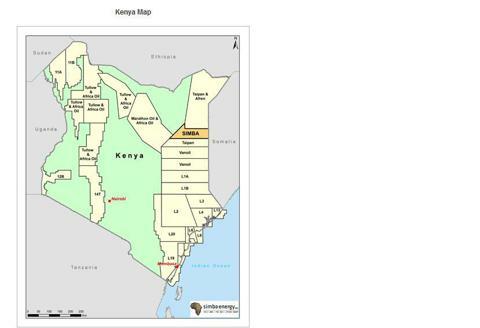 Simba Energy had not been created at that point, but the geologist witnessed the discovery well activity and quickly drove to the city to file or add mineral rights for Oil on his diamond exploration land or so the story goes. 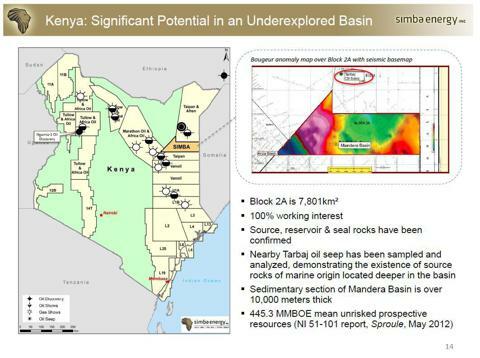 since that time Simba has done seismic and identified targets which it intends to obtain drilling permits and drill its own we'll into similar reservoir to its neighbor who found oil. 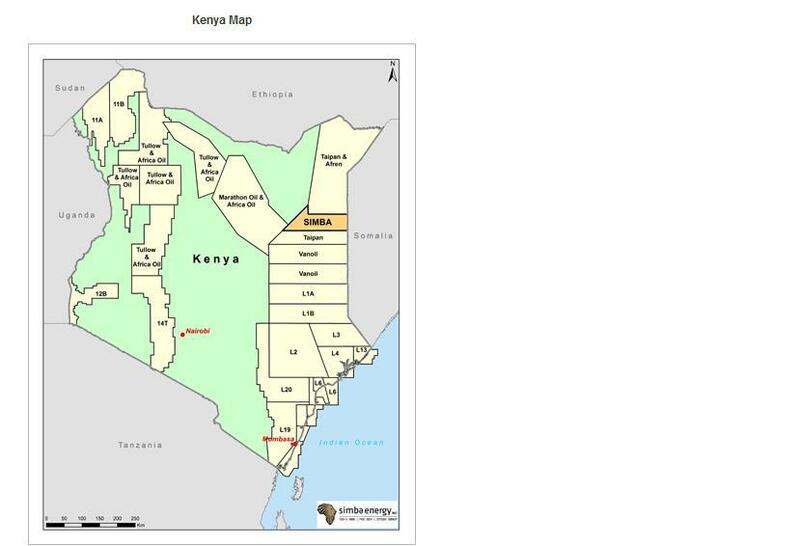 Simba Energy has exploration blocks in Kenya, Liberia, Guinea, Ghana, Mali. The block 2A in Kenya is a 100% interest for Simba.P lans are for this block 2a to spud a well in 2013. It is trading at $0.08 in march 2013. 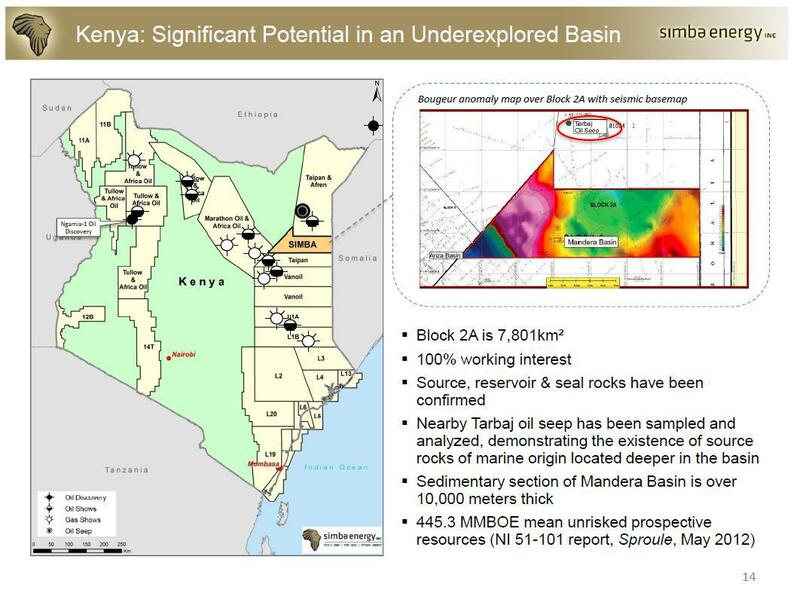 This is a pure exploration play, with no production, only potential for discovery, if any oil is found They will have to build pipelines or get its product to market, for these reasons it's a trading idea, yet it has some highly prospective block of land already, which if productive could be fabulous for early investors. 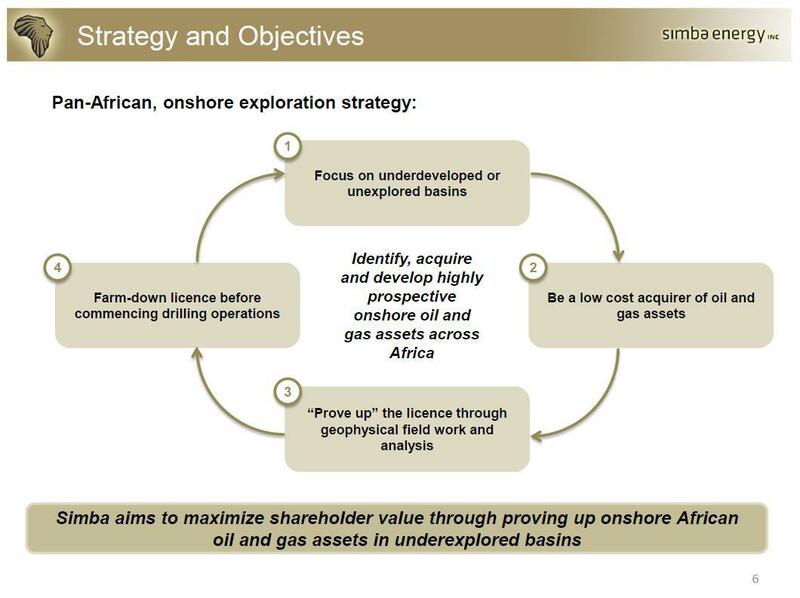 Large, onshore, diversified portfolio of'high impact' early stage oil and gas assets in Africa.Low cost acquirer of assets with significant exploration and/or development activity on or adjacent to Simba's blocks. Large acreage positions in African frontier onshore basins. The original undertaking was to investigate and ascertain the hydrocarbon potential at the Company's three targets (P1, P2, P3) by first employing a block survey using passive seismic to confirm or identify areas of hydrocarbon potential to be followed up with 2D seismic for structure definition. 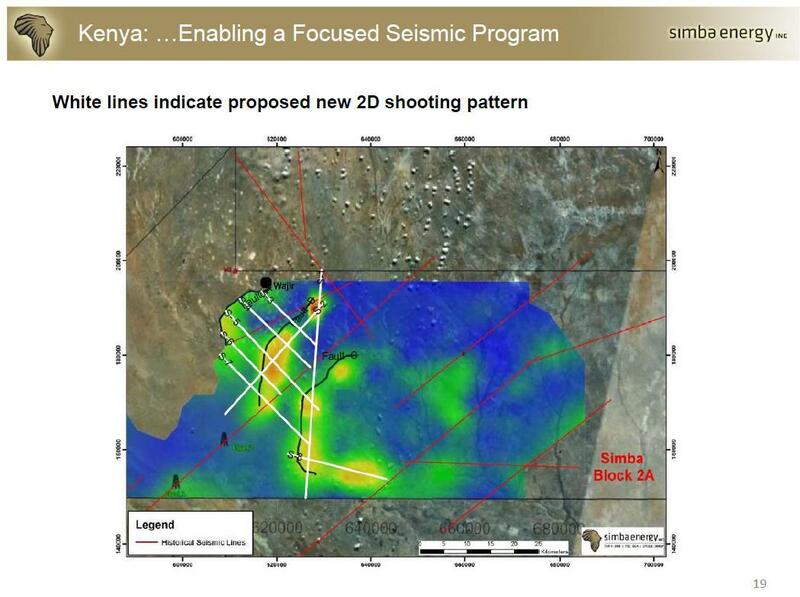 This first phase of passive seismic has confirmed P1 to be comprised of two distinct and sizeable leads with excellent hydrocarbon response lying east and SSE of the city of Wajir. The first lead in P1 with an area of 29km² demonstrates the highest level of hydrocarbon seismic energy interpreted amongst all seven potential leads identified by the survey; the second and likely related lead is over 100km² in size with good response for hydrocarbon potential and lies from 8km to 20km+ to the SW. The Company will immediately begin re-interpretation of all available existing data, as well as initiate baseline environmental work, to support the design and planning of a new seismic acquisition program. As you can see in Taipans presentation slide 11 and 12 the pearl prospect is located in both block 2a and 2b, a big part of the P1 closing contour stretches in to our 2a block. So the string of pearls seems to be present in our block too. So when Premier and Taipan drill this prospect Simba is getting in on this for free, a $30 million drill.